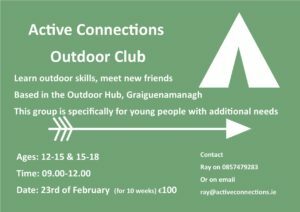 Goatsbridge Trout - Trail Kilkenny | Get Outdoors! Husband and wife team Mag and Ger Kirwan are at the center of the Goatsbridge story. 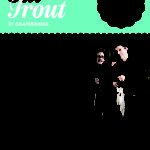 They live on the farm with their family and work together to carry on the proud tradition of Trout Farming. Each daily catch comes directly from the crystal clear Irish waters of The Little Arrigle to your table. 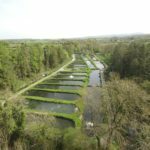 Goatsbridge Trout Farm organises farm tours where visitors can learn about our traditional trout farming system, the art of smoking and processing, as well as the family history and the heritage behind their company. You are also welcome to drop into our visitor center where you can sample and buy our products.no booking required! 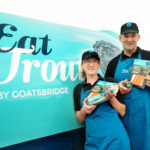 Discover the family history, the traditional farming system, and the art of fish smoking followed by a light lunch containing a taste of Goatsbridge products. Minimum numbers 10 people, maximum 30. After much talking about the farm and heritage….the proof of the pudding is in the eating! You can taste Goatsbridge smoked trout, hot and cold, the pate and the caviar. Minimum numbers 10 people, maximum 30.